Waratahs coach Daryl Gibson hopes a fully fit halfback Nick Phipps can unfurl his best rugby before leaving for England. Waratahs coach Daryl Gibson has lauded the yeoman service of halfback Nick Phipps and hopes he can produce his best rugby before leaving for the English club game. Phipps and Super Rugby team-mate Curtis Rona have both signed two-season contracts with London Irish, beginning later this year. Gibson was philosophical about losing two experienced backs, preferring to reflect on their achievements rather than the holes they'll leave. 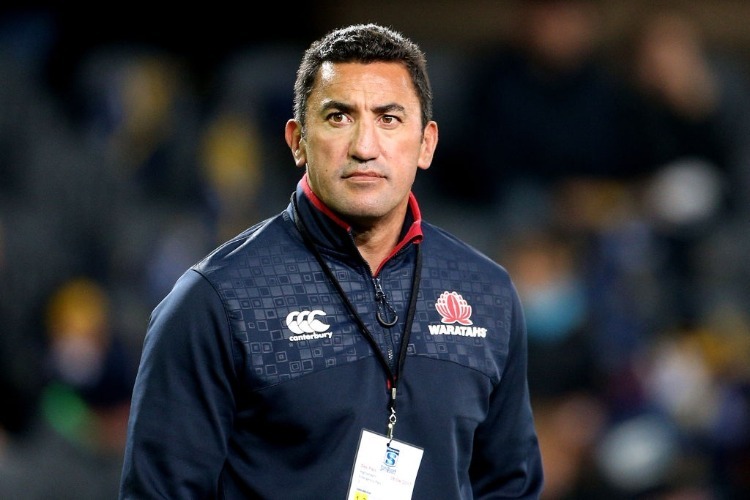 He hoped 71-Test veteran Phipps can avoid the lower leg problems that have marred his last two seasons with the Waratahs and then take form into what would be a third World Cup campaign. "I think he's been a wonderful servant," Gibson said. "I'd love him to be able to sign off this year with some really high honours, in terms of the Wallabies and, before that, in Super Rugby." Phipps, 30, shapes as a logical backup to Will Genia at the World Cup in Japan, having come off the bench in nine of his 10 Tests last year. The former Melbourne Rebels No.9 will be eligible for ongoing Wallabies selection as he has surpassed the 60-Test eligibility mark for offshore-based players. Kiwi-born outside back Rona, 26, played three Tests in 2017, having made a decent fist of the 15-man code since his three NRL stints with North Queensland and the Canterbury Bulldogs. "Both Curtis and Nick are at that point of career," Gibson said. "Those things are always going to happen, it's part of the life cycle. "I'm very pleased they're able to go somewhere that will take care of them and their family, so I wish them well." Gibson's team began 2019 with a 59-38 trial loss by a largely second-string line-up to the Highlanders in Alexandra on Friday. Positives were bright showing from several youngsters, a solid outing at inside centre for Queensland recruit Karmichael Hunt and a hat-trick to midfield partner Lalakai Foketi. A stronger team will be fielded for Thursday's pre-season match against the Brumbies in Goulburn, with Wallabies veteran back Adam Ashley-Cooper set to make his Waratahs debut.